Every year, my girlfriends and I get together for a holiday feast. It has been a tradition since high school! At first we would all have our parents help us make something and it ended up being a major carb fest, but we do better and better every year! This year I was responsible for the veggie side dishes. 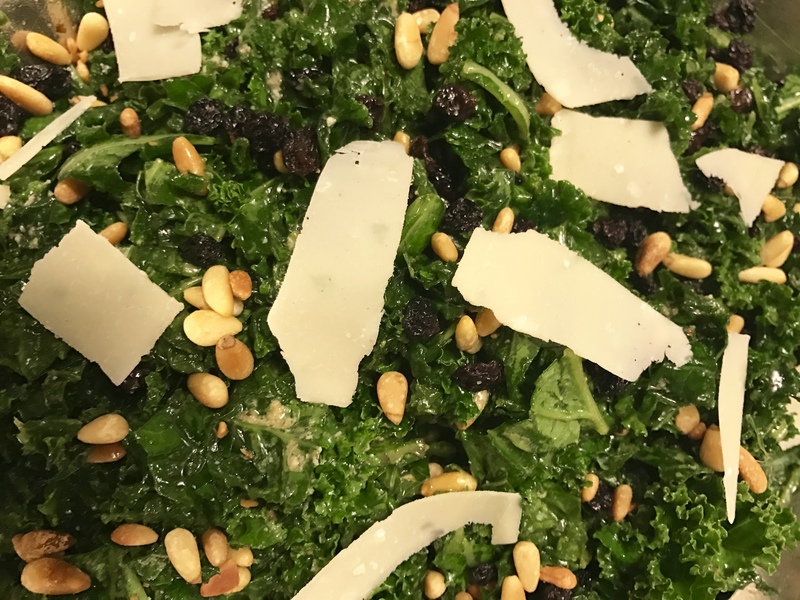 I made green beans, roasted cauliflower and a knock off of one of my favourite salads from a local Toronto restaurant, starring kale, pine nuts and currants! It’s too good not to share!